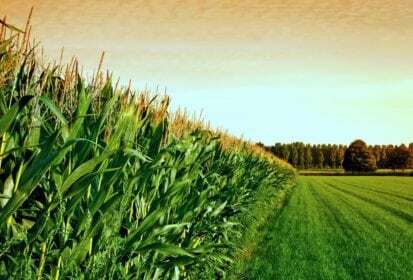 CNS Canada – After a week where corn, soybean and wheat contracts climbed on the Chicago Board of Trade, traders are now awaiting the latest supply and demand report from the United States Department of Agriculture. “With the crop report (for) August, which at least over the last five years has historically leaned more bearish than bullish, I think a period of consolidation is probably in order,” said Rich Feltes of RJ O’Brien in Chicago, Ill. The USDA’s August supply and demand report is due out on Aug. 10. Over the past week supply concerns and the ongoing trade war have driven the market. Dryness concerns in the Black Sea region, Europe and Australia have traders concerned about the wheat production. There was also a crop tour done in North Dakota last week, which predicted lower than expected yields for spring wheat. This drove the wheat markets up. The latest trade war news is that the United States and China are currently in negotiations, which according to Feltes is good news. However it’s regretful to hear that China has been “intransigent on their stance and they’re not really serious in the negotiation,” he said. Feltes thinks farmers will hold back on selling corn and soybeans for the time being, due to the positive developments on the trade front. “I think the lows are (priced) in. I think end users are going to be more encouraged to cover, manage funds are going to be more inclined to get out of their shorts in corn and soybeans,” he said. The long range forecast is also looking more positive for crop development, with more temperate conditions expected. “It’s not looking as hot today in the extended maps as it was on Monday and anything that suggests more regular (temperatures)…at least according to our weather consultants is suggestive of better precip opportunities,” Feltes said.